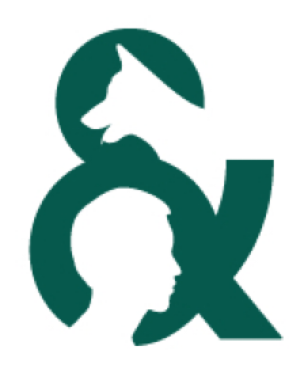 The Animals and Society Institute is excited to announce the call for proposals for the sixth annual Human-Animal Studies International Development Project (HASIDP). The purpose of this competitive program is to provide one non-American university per year the resources to build its own human-animal studies program. Human-Animal Studies (HAS) programs have proliferated at universities in some countries. Still, a great many universities have faculty and students who are interested in developing such programs, but lack the resources to create them on their own. This program fills that gap by providing the financial and knowledge-based resources that such scholars, students, and universities need to build their own HAS programs. Applicant Eligibility. The applicant must be a faculty member of an Arts and Sciences school of a university outside of the United States. (Professional schools are ineligible.) Preference is given to universities located in countries that lack a significant presence of HAS programs, or that do not have the funds to build their programs. In addition, preference is given to universities that do not already have a robust presence of HAS programs (e.g., a minor or major), but that have the promise of such (e.g., one or two active HAS scholars). The Award. The selected university receives financial and consultative support leading to the creation of an HAS program, including the creation of courses, marketing support, cultivation of institutional and extra-institutional partners, and administrative support. The amount of the award will range from $10-$15,000, depending on the budget submitted by the applicant. (The institution may need to cover additional, non-budgeted expenses during or after the program on its own.) As part of the award, the winner may choose to have a visiting senior HAS Fellow visit the university for up to one week in the year after the award is given, to provide logistical and pedagogical support (these costs will not be taken from or included in the financial award). Application. In addition to a cover sheet with contact information for applicant(s) and contact information for the university, the application must include: (1) a brief description of the state of HAS in his or her university; (2) a proposal of up to three pages which describes the proposed program to be developed by the applicant; and (3) a description of outside partnerships, including at least one animal protection organization, all of which are described more fully below. The proposed program will include descriptions of the actual program being proposed, i.e., a new major or minor, a research cluster, a new module, a new course or courses, a lecture/speaker series, a conference that will support the new program, etc. The application should include names of agencies and/or organizations outside the university that have agreed to partner with the program, and a description of the partnership activity, for instance on a specific project. Note that the involvement of at least one animal protection organization must be included. Selection Process. The selection committee includes members from a range of disciplines connected to Human-Animal Studies, and is overseen by ASI. Applications are evaluated on the basis of how much interest there is at the university, how much impact the assistance of ASI will have, and how much likelihood there is of a viable program developing there. Follow Up. The applicant agrees to provide reports at six months, one year, and 18 months on the progress of the implementation of the program and, more broadly, the “State of the Field” at the university, as well as financial reports showing where and how the funds have been spent.